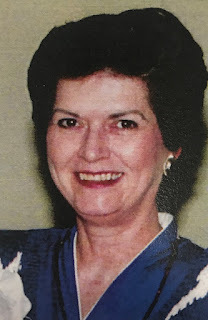 Beverly Ann Moseley, age 71, of New Edinburg, AR, died Monday, April 22, 2019, at Bradley County Medical Center. She was born December 12, 1947, in Pine Bluff, AR, a daughter of the late Adrian Vandiver and Pearl McClellan Vandiver. Beverly was a part time church secretary, a homemaker, and member of Immanuel Baptist Church. Surviving is her husband Jack Moseley who she married May 24, 1970. Four sons Jeff Moseley (Denisa), of Warren, AR, Joey Moseley (Brittany), of Bartlett, TN, Josh Moseley (Kimberly), of Jonesboro, AR, and Jacob Moseley (Leigh Ann), of North Little Rock, AR. One brother Jim Vandiver of Highland, IL. One sister Donna Bryan of Texarkana, TX, and seven grandchildren. Funeral service will be 2:00 p.m. Friday, April 26, at Frazer’s Chapel. 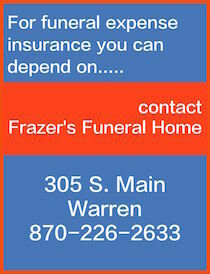 Burial is in Moseley Cemetery by Frazer’s Funeral Home. Visitation 6-8 p.m. Thursday, April 25, at Frazer’s. Memorials are preferred to St. Jude Children’s Research Hospital, P.O. Box 1000, Dept. 142, Memphis, TN, 38148-0142. Artis Harding Jr., 83, of Warren, died April 18, 2019. Born February 28, 1936, a son of the late Otto and Trudie Harding. Funeral service is 10:00 A.M. Wednesday at Union Hill Missionary Baptist Church in Warren. Burial in Union Cemetery with arrangements by Hammons Funeral Home. Robert Henry Lambert, 72, of Warren, died April 21, 2019. Born January 30, 1947, a son of the late Robert and Samuella Lambert. He was a member of Bethel AME Church in Warren. Funeral service is 1:00 P.M. Wednesday at Bethel AME Church in Warren. Burial in Union Cemetery by Hammons Funeral Home. On April 2, 2019, Avon Anderson Howell finally ended her 11 year battle with Alzheimer’s. Avon was born March 18, 1932, in Little Rock, Arkansas, to Katharyn Ford and Paul Cedric Anderson. She was preceded in death by her parents and her husband, William H. “Sharpie” Howell. 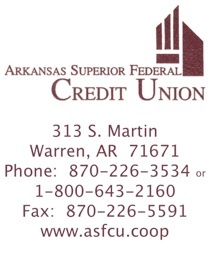 Avon grew up in Warren, Arkansas. She and her mother moved into the Ford family home in Warren after her beloved father, Paul, died of tuberculosis in 1944. She graduated from Warren High School in 1950 and entered Arkansas A & M at Monticello as a freshman where she was a Boll Weevil Yearbook Beauty and a Fraternity Sweetheart. Avon attended the University of Tennessee as a sophomore majoring in Home Economics and Education. While there, she was a member of Kappa Delta sorority and was honored as a Volunteer Yearbook Beauty. After graduation in 1954, she began a career as a professional Home Economist which lasted for more than 40 years. Avon was very proud of her years at AP&L as a “lighting consultant” when she was “selling electricity in Arkansas.” She also had her own lighting business in Pine Bluff for several years. Avon was an amateur actress and appeared in productions of Antigone and The Rainmaker among others. Over the years she served as a Girl Scout leader, Sunday School teacher, sewing teacher at the Pine Bluff YMCA, and for 7 years, the coordinator of children’s ministries at Lakeside United Methodist Church in Pine Bluff. “Mrs. Howell” was the Home Economics teacher at Stuttgart Junior High from 1978 -1996 where she received great pleasure from helping her students. She loved running into her former students, especially when they would share things that they learned from her. Avon was a skilled seamstress with a great eye for colors and fabrics. Designing a garment and picking out the fabrics was as important to her as the proper fit on the finished product. She loved the beauty of color and texture. Her greatest joy above all was being Mother and Grandma. Avon is survived by “her loves”, Mary Katharyn Hope (Ron) and Paul Howell (Julie); her grandchildren, Rachel Arnold (Chris), Laura Gowan (Trey), John Arthur Hope, Elizabeth Howell and William Howell; and her great-grandchild, Henry Arnold. Many thanks to the dozens of caregivers and doctors who made Mrs. Howell’s life better during her journey through Alzheimer’s. We could not have done it without all of you. 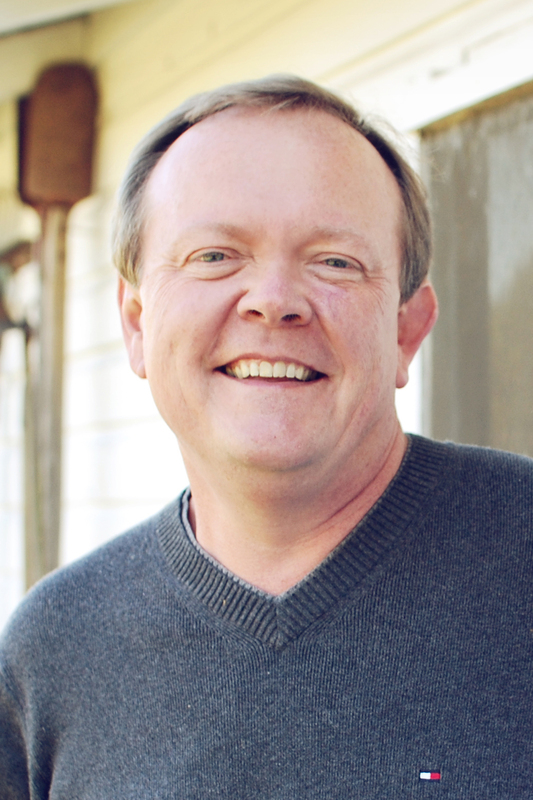 Michael "Scott" Johnston, age 60, passed away on Friday, April 12, 2019 at St. Lukes Hospital in The Woodlands, TX. Born April 9, 1959 in Little Rock, AR, the son of Patricia Kight Johnston of Warren, AR and the late Johnny R. Johnston of Tulsa, OK. He is survived by his wife Debbie Johnston and stepdaughters Jessica Trotter and Candice Trotter, daughter Amanda Johnston Green, her spouse Robby Green and 3 grandchildren - Maddie, Ava and Cannon of Fulshear, TX. Preceded in death by his brother, Stephen "Todd" Johnston. He loved his family and especially proud of his grandchildren. Private ceremony will be held at a later date. Marilyn Temple Crownover, age 87, of Little Rock, AR, died Tuesday, April 9, at St. Vincent’s Hospice. She was born August 24, 1931, at Ingalls, AR, a daughter of the late James Frederick Temple and Lucy Godfrey Temple. Marilyn was a retired childcare worker and a member of Oak Forrest United Methodist Church. She was a wonderful cook, loved sewing, felt pride in being born in the country and living in the city. Marilyn had extreme pride in her children and grandchildren and their accomplishments and her constant feline companion Mancer. Survivors are one daughter Vickie Elaine Childress of Little Rock. One son Danny Crownover of Little Rock. Three grandchildren and four great-grandchildren. 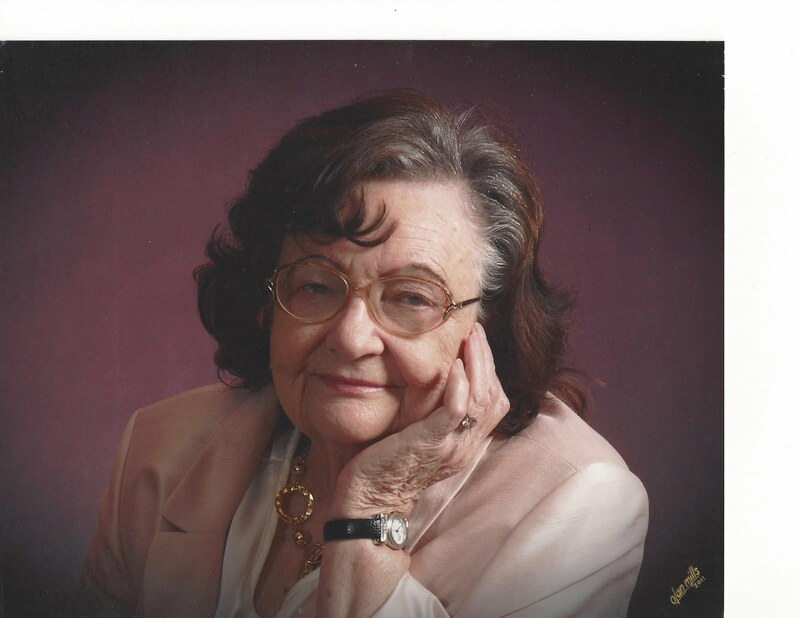 Annis Minniefield, 85, of Warren, died Friday, April 5, 2019. Born February 16, 1934, she was a daughter of the late Otto Harding and Trudie Hampton Williams. Funeral service will be 10:00 A.M. Saturday at Mt. Zion Baptist Church in Warren. Burial in Union Cemetery with arrangements by Hammons Funeral Home. There will be a wake on Friday from 5-6 P.M. at Hammons Chapel. It is with deep sorrow that we announce the death of Mary Sue Rowe Burgess (Monticello, Arkansas), born in Dermott, Arkansas, who passed away on April 2, 2019, at the age of 66, leaving to mourn family and friends. Family and friends can light a candle as a loving gesture for their loved one. Leave a sympathy message to the family in the guestbook on this memorial page of Mary Sue Rowe Burgess to show support. In lieu of flowers, donations are encouraged to the Gideon Camp of Monticello, PO Box 35, Monticello, AR 71657 or. A funeral service will be held on Wednesday, April 3rd 2019 at 3:00 PM at the Tillar Cemetery. Donna Gail Craig McDougald, age 62 of Clanton, AL formerly of Warren, AR died Sunday, March 31, 2019, at her home. She was born July 2, 1956, in Warren, AR, a daughter of Beulah Isom Craig of Warren, AR, and the late Charles Leroy Craig. She was a lifelong Licensed Practical Nurse, graduating in 1977 from nursing school, with 35 years of service. She was a member of the First Freewill Baptist Church and a 1974 graduate of Warren High School. Also preceding her in death was a brother Jimmy C. Craig. Surviving is her husband Jim Bob McDougald, whom she married May 25, 1974 in Warren, AR. Daughters Anita Lynn and spouse Bill of Clanton, AL, and Jamie Davis and spouse Jeremy of Alabaster, AL. Two grandchildren Olivia Lynn of Clanton AL, and Josie Davis of Alabaster, AL. 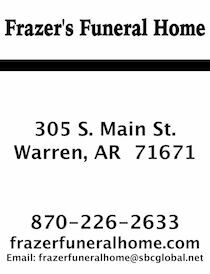 Funeral services will be held 10:00 AM Friday, April 5, at Frazer’s Funeral Home with burial in Oakland Cemetery. Visitation will be held Thursday, April 4, at Frazer’s Funeral Home from 6:00 PM till 8:00 PM. Mike Green, 74, of Warren, died March 26, 2019. Born March 28, 1944, a son of the late John and Arrie Green. Funeral service will be 11:00 A.M. Saturday at St. James AME Church in Warren. Burial in Hall Cemetery in Banks by Hammons Funeral Home. Alben “AL” George Pearson, III age 69 of Pine Bluff, AR formerly of Monticello, AR died Saturday, March 30th, at the Davis Life Center in Pine Bluff. He was born April 28th, 1949 in Kansas City, MO a son of the late Alben George Pearson, 2nd and Gladys Louise Johnson Pearson. He spent his career in Law Enforcement, serving with the Monticello, PD and the Arsenal Police in Pine Bluff. He severed his county in the United State Airforce and the Arkansas National Guard. He was a member of the Assembly of God Church. Also preceding him in death was his wife Effie Carr Pearson, a son Alben George “Bengi” Pearson, 4th a sister Rose Mary Pearson and a grandson Alben George Pearson 5th. Survivors include a son William ‘Billy” Pearson and spouse Windy, Haskell, AR. 3 daughters Rose Marie Kyle, Benton, AR Misty Owens, Monticello, AR and Samantha Brown and spouse Brandon, Star City, AR. A sister Kathleen Pearson, Little Rock, AR. 15 grandchildren. Shonia D. Phillips Broughton was born in Kenosha, WI on June 19, 1970 to Joyce K. Phillips and the late Sylvester Hill, Sr. She departed this life on March 19, 2019. She moved from to Kenosha, WI to Warren, AR at the early age of eleven where she continued her education with the Warren School District. She is a graduate of WHS Class of 1988. 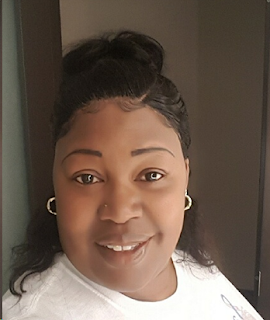 Shonia began working at twenty-one years old at Millcreek Behavioral Health in Fordyce, AR. She gain the love and respect of her co-workers and clients. She continued her work until her passing. Shonia was a member of St. James A.M.E. Church where she had accepted Christ as her Savior. On September 27, 1995 she married Jimmy L. Broughton. Shonia D. Phillips Broughton dedicated her life to her family, friends and traveling. Shonia was preceded in death by her dad, two sisters, grandparents, father-in-law, Uncle Earnest Jean Philips and Aunt Sandra K. Dupree Campbell. She leaves to cherish her memories: Jimmy L. Broughton-husband; Joyce K. Phillips-mother; Verlene Broughton-mother-in-law; three childrens: Justin (Zakiya) Broughton-CA, Tessiah Broughton & Trenton Broughton both of Warren,; five grandchildren: Kennedy Broughton, Kyler Broughton both of Warren; Nailah Broughton, Janai Broughton and Azaih Broughton-all of CA; four sibling: Sylvester (Kathy) Hill, Jr., Lenora Hill, Dewayne Hill & Carolyn Hill-all of WI; two uncles: Eugine Phillips & Excell Phillips both of Warren and a host of Great Uncles, Great Aunts, nieces, nephews, cousin, friends, her Millcreek family and her special sister in life Tammy Caldwell & Eunice Watson. Funeral services are March 26, 2:30 p.m. St. James A.M.E., Presiding Elder James R. Hooper, Pastor, Elder Kent J. Broughton, Eulogist. Richard McKeever, 81, of Wilmar, died March 21, 2019. Born April 22, 1937, a son of the late Joe and Janie McKeever. 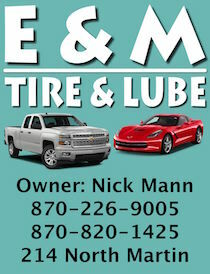 Wake – Friday, 6:00 PM – 8:00 PM at Hammons Funeral Home, 101 E. Elm St., Warren. Homegoing celebration – Saturday, 10:30 AM at Greater Shady Grove AME Church, 325 S. Seventh St., Wilmar. Billy Carrol “Harry” “Foots” Armstrong, age 75, of Dumas, AR, died Wednesday, March 20, 2019, at Delta Memorial Hospital in Dumas, AR. He was born August 4, 1943, in Monticello, AR, a son of the late Woodrow Armstrong and Estelle Cash Armstrong. Billy was a retired millwright, a Vietnam Army veteran, a Baptist, and the unofficial mayor of Pendleton. He loved hunting, fishing, and watching westerns. Also preceding him in death was his step-father James Temple. Survivors are one son Gregg Armstrong and spouse Kristi of Johnsville, AR. One brother Dwight Armstrong of Dumas, AR. One sister Pat Glennon of Monticello, AR. Four grandchildren Emily Newman and spouse Josh, Brady Armstrong, Brooke Armstrong, and Brittney Armstrong. Keenan De Quinn Jenkins ‘Keeno’, 25, of Warren, died March 13, 2019. Born December 24, 1993, a son of Denise Owens and the late Kenneth Jenkins. Funeral service 2:30 P.M. Friday at Union Hill MBC in Warren. Burial in Bethel Cemetery by Hammons Funeral Home. 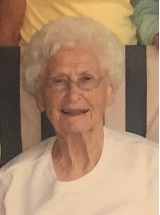 Everlean Davis, 92, of Warren, died March 14, 2019. Born October 18, 1926, a daughter of the late Mack and Linnie Wheeler. Funeral service 2:30 P.M. Saturday at St. James AME Church in Warren. Burial in Hall Cemetery by Hammons Funeral Home. Petie McClellan, age 72, of New Edinburg, AR, died Friday, March 15, 2019, at J.R.M.C. in Pine Bluff, AR. Petie was born June 20, 1946, in New Edinburg, AR, to Monroe McClellan and Myrtle Gray McClellan. Also, preceding Petie in death were brothers, Paul McClellan, Mack McClellan, Nolan McClellan, and Raymond McClellan; sisters, Frances Bolin, and Christine Williams. Survivors are one brother Curtis McClellan of Fordyce, AR. Two sisters Varnice Parker of Conway, AR, and Brenda Triplett of New Edinburg, AR. Willie J. Jackson, 56, of Fordyce, died March 7, 2019. Born May 14, 1962, a son of Bennie Jackson and the late Joyce Jackson. Funeral service was March 15th at El Bethel Cemetery in Hermitage by Hammons Funeral Home of Warren. 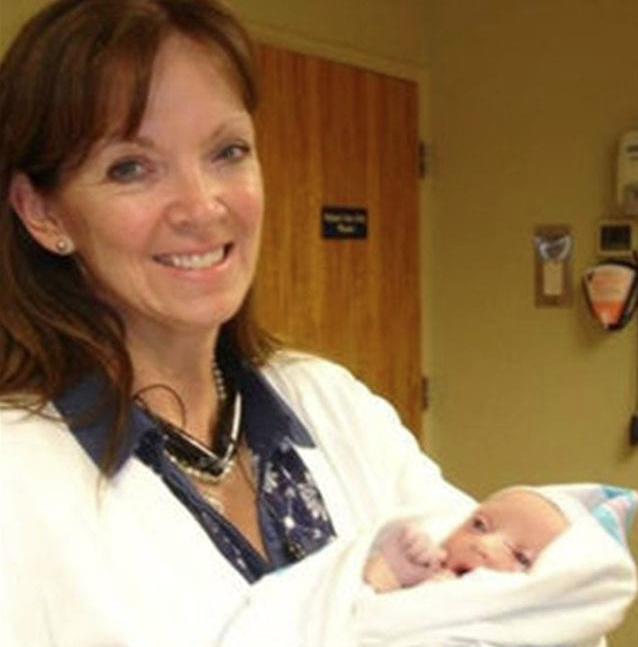 Deborah Ann Garner Steplock, known as Petunia by her loving husband and Gracie by her grandchildren arrived at a hospital in Casper, WY on February 26. She was surrounded by family and friends until she went to Heaven on February 28, 2019. Before she left this earth she was able to donate her organs gifting life to others. She was born in Memphis, Tennessee where she learned to be a southern belle, a ballerina, a Memphis Tiger and fell in love with Elvis Presley. After she graduated from high school at SBEC she went to Baptist School of Nursing where she received her nursing degree. She had such deep roots in Memphis; it’s where she was born, where she was raised and where she met the love of her life. It was soon after meeting Albert Louis Steplock Jr. that she discovered a new love of cocker spaniels through Lou’s dog, Boinkers. After eloping on a train on her birthday, these newlyweds embarked on their next adventure to the “Rocky Mountain Region”. They loved Wyoming so much that it’s where they decided to start their family. She was a mother of five but really a mother to all that knew her. She was kind, she was giving, she was selfless, and she was perfect. She was an angel on earth. Her final resting place will be in Memphis Tennessee, alongside her dad, Woodie Wayne Garner. She was survived by mother Elaine Garner, Husband Dr Louis Steplock, Children Barbara Lee Steplock 32, Lesley Ann Steplock 31, Elizabeth (Betsi) Diane Steplock 29, Rebecca Susan Johnston 28 (Greg Evan Johnston 30), Andrew Wayne Steplock 27, Sisters Diane Ward (Sam Ward), Kelly Young (David Lusby) and her children Lauren Young Johnson 29 (Josh Crockett Johnson), Zachery Taylor Young 25 (Amy Miller Young), Emily Grace Young 22 Matthew Gregory Young, Grandchildren Clayton Wayne Johnston and baby brother, Bonus Family Siblings, Andy Steplock, Debbie (Bebe) Steplock, Lee Ann Garner, Terry Vernon Garner, Barbara Steplock Couey, Elizabeth Steplock Paulson, Greg Paulson, Nieces and Nephews Virginia (Ginnie) Lee Garner, Terri Ann Darling, Drew Darling, Robin Diane Fowler, Mike Fowler, Laura Elizabeth Harris, Kathleen Richelle Fleming, Marc Edmond Fleming, Jacqueline Paige Harris, Kimberly Kira Paulson, Cory Andrew Steplock, Keller Paulson and Emily Diane Harris. Dogs Barbara, King, Lady. Service will be held at Highland Park Community Church on Tuesday, March 5th, at 10 a.m. In lieu of flowers, family is requesting donations be made to Klove, Donor Alliance Foundation or Camp Cocker Rescue in her honor.